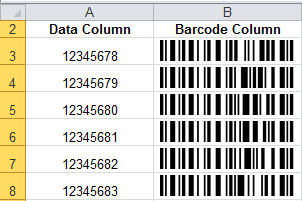 Add Code-128 and GS1-128 barcoding capability to Microsoft Excel spreadsheets. 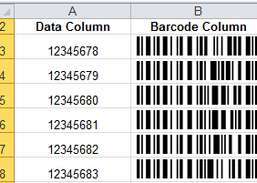 FromIDAutomation:The Native Code 128 and GS1-128 Barcode Generator for Microsoft Excel provides barcoding capability to Microsoft Excel Spreadsheets with an embedded VBA macro making it easy to share sheets without needing to distribute additional fonts or other components. This Barcode Generator for Excel version supports code-128 auto mode with sets A, B and C, all GS1-128 application identifiers, ISBT-128, SSCC-18, SISAC, SICI and ICCBBA. The Native Code 128 and GS1-128 Barcode Excel Generator is compatible for both Microsoft Windows and Mac OS X, 32-bit and 64-bit systems, for Microsoft Excel 2003 and greater in Windows and Excel 2011 and greater on Mac with VBA support. Additional Native Barcode Generators include support for the following symbologies: Code 3 of 9, Code 93, MSI, UCC/EAN-128, Interleaved 2 of 5, PostNet, Intelligent Mail IMb, Data Matrix, QR-Code and PDF417. Get REALbasic encryption, encoding, hashing functions. Developer tool to implement high speed data structures.